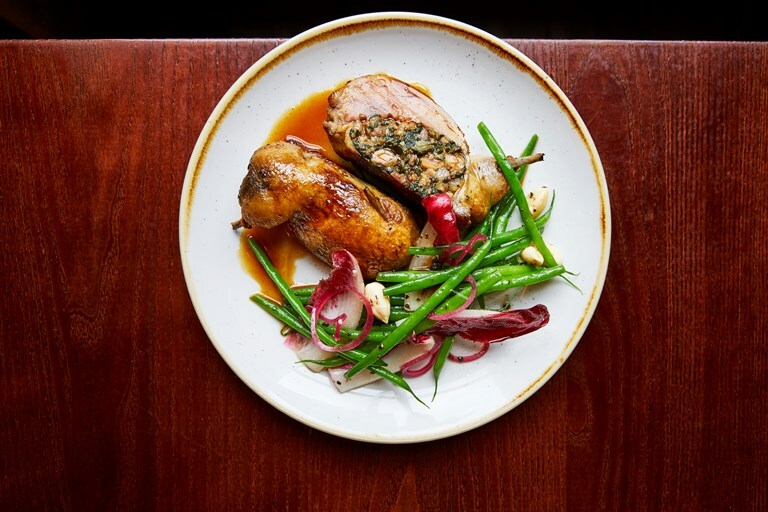 This stunning quail farcie recipe from Jun Tanaka requires a lot of work, but the results are stunning. 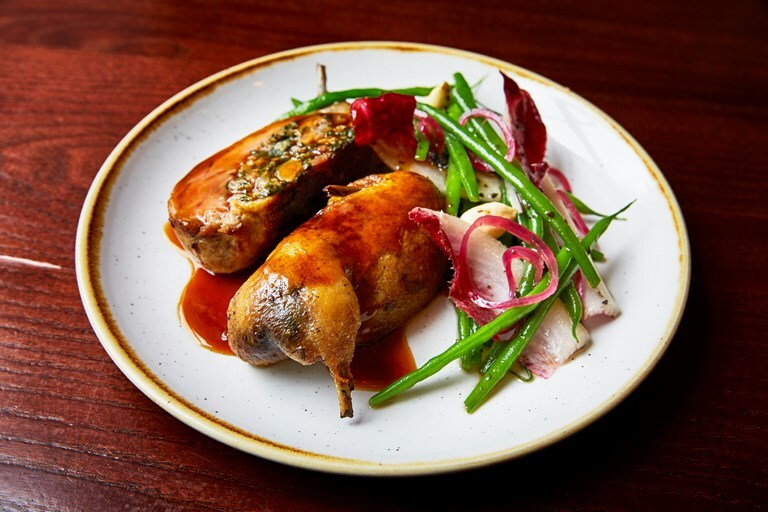 A rich farce, or stuffing, is made of foie gras, lardo, Sauternes-soaked sultanas and a host of other tasty ingredients, then stuffed into the boned out quails. No professional kit is required for this dish, just time, patience and careful, classical cooking.